It is also known as high quality Oxygen Adjustment Valve With Rotameter. The Pressure gauge is 3000 kg/cm2. The flowrate is calibrated in 1 Litre instalments between 1 to 15 Litre/min. 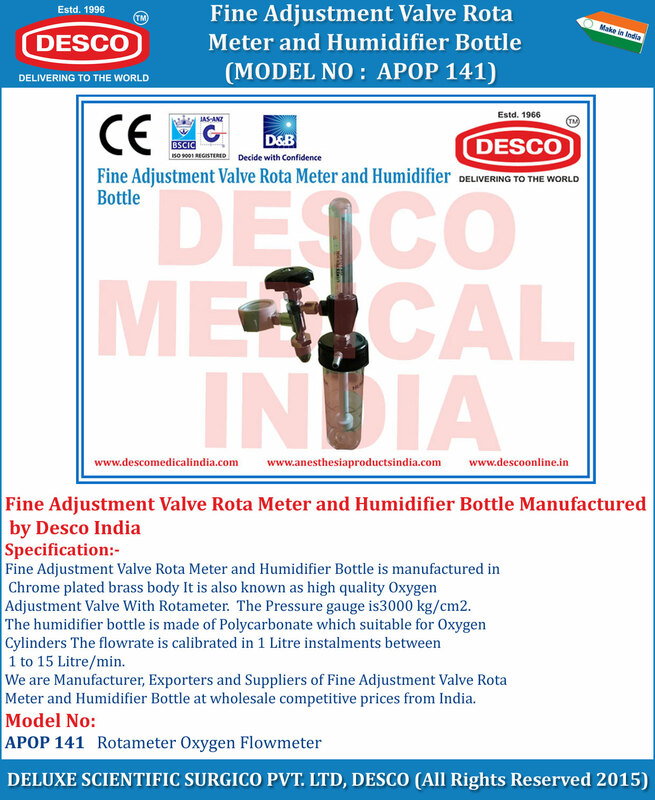 We are Manufacturer, Exporters and Suppliers of Fine Adjustment Valve Rota Meter and Humidifier Bottle at wholesale competitive prices from India.